What do we do when a whiny employee keeps whining? If we cannot move them to another department, we tend to try our best to "yes" them out of our office, ignore them or delay responding in the hopes they will go away. In many cases, while the employee may continue to be annoying, taking one of these approaches is often sufficient. However, if a legitimate issue does arise, the pattern of not addressing earlier problems can come back to bite us. Here are a couple of ways to rethink the approach to the employee crying wolf in case a wolf does actually show up. Google has become the bane of many HR leaders. Instead of walking in to our offices to complain about a co-worker being a jerk or a boss being mean, employees now walk in saying things like hostile work environment, harassment and bullying. While most HR professionals will perform at least a cursory due diligence when such phrases are uttered, overworked or understaffed HR pros may not have the time or inclination to address every complaint, especially when it is from a repeat complainer. In such situations, HR has to find the rally monkey and figure out a way to address the issue. Experienced HR pros can usually tell whether the complaint is legitimate. In cases where it is likely not, the best thing to do is address it head on by listening to and then addressing the underlying issue. In other words, bite the bullet, listen to the complaint, explain to the employee the reality of the terms they are using and the difference between the term and the thing they are experiencing and then clearly and explicitly close the issue. In most cases, the underlying issue is that the employee wants to be heard; ensuring that they are heard while acknowledging together that they have been heard is safer than ignoring or delaying a response and thus creating a pattern of behavior that could prove problematic if there is ever a real issue in the future. Similarly, in organizations with no HR, leaders tend to follow the path of least resistance when it comes to serial complainers. If the employee continues to "not get it," then leaders will often start taking more active approaches like marginalizing the employee’s participation, taking away responsibilities, or cutting her out of meetings. 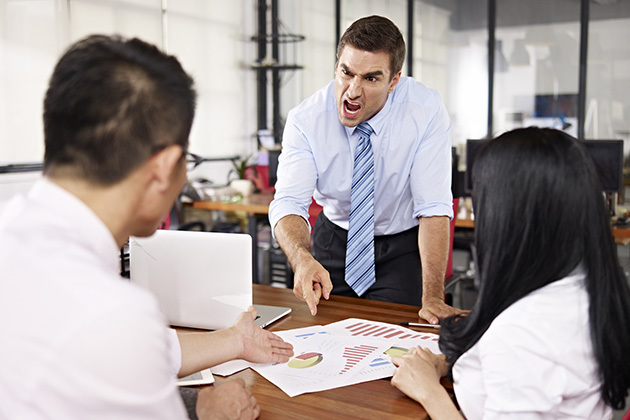 While such actions may make life easier for the leader, it tends to upset the employee more. If the organization is lucky, the employee may quit. However, if it is not, the employee could refer to this pattern of behavior when a legitimate issue arises, adding it to her list of complaints. Or the pattern of behavior itself could become the new complaint; and without a specific reason for why it is happening, the employee is free to draw her own conclusions that she is being shut out as retaliation or because of some form of discrimination. The bottom line is even a broken clock is right twice per day. Whining employees may be annoying, but they should be heard and handled as soon as possible. And if the employee uses buzzwords or refers to anything medical, take the time to hear the issue and call counsel: a 15-minute call upfront is a lot less expensive than reviewing a history of complaints down the road.